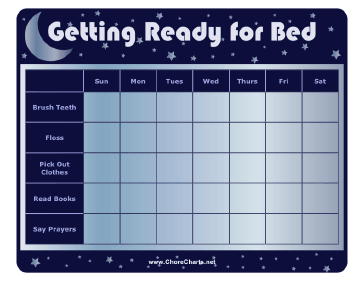 This printable chart will help children get ready for bed, as it lists tooth brushing and flossing as well as book reading and prayers. 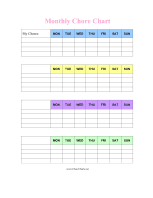 Items may be customized in the premium .DOC version. Illustrated in midnight blue with moon and stars.